Background: For the past seventy years, the field of Applied Anthropology, its practitioners, professional organizations, academic journals, and other publications have embraced the ideal of applying the insights of academic anthropology to real-world problems. Today, these anthropologists continue to formulate questions and develop methodologies to tackle the challenges of our contemporary world, which are marked by an accelerating pace of change, changing scales of space, increasing impermanence, and skepticism toward universal truths. •	Adopting new theoretical models of social organization (e.g. nonlinear dynamic networks/systems) and redefining "community"
In summer 2009, a special issue of Practicing Anthropology was devoted to "The Archaeology and Ethnography of Cultural Heritage Management" specifically underlining the importance of the transdisciplinary field of heritage to the wider objectives of applied anthropology. In earlier years, a number of important studies were published in both Practicing Anthropology and Human Organization, dealing with community partnerships and local tourism, the construction of regional heritage networks, linking local environmental and heritage initiatives, and urban and regional heritage projects of various kinds (e.g., Clemmer 2004; Dugan and Caldwell 2005; Hackenberg 2003; LaLone 2005; Power and Paolisso 2007). This AAA session attempts to build on this work within applied anthropology—while simultaneously acknowledging the far-reaching changes underway in the international heritage field—to offer the basis for 21st-century agenda building for public heritage. This agenda can serve as an internal bridge among anthropology's sub-fields and, no less important, it can serve as a unique transdisciplinary platform for practical and meaningful collaboration with other applied disciplines, such as economics, sociology, environmental psychology, public history, regional planning, education, and public policy. Changing Heritage Paradigms: The field of public heritage, overlapping in some important respects with other applied activities such as Cultural Resource Management, Historic Preservation, Public Archaeology, and Public History, is becoming increasingly formalized as a field that encompasses the maintenance, facilitation, empowerment, and implementation of programs dealing with collective memory and both tangible remains from the past and the intangible traditions that give them contemporary significance. 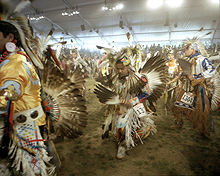 Among international heritage organizations the criteria for assessing and appreciating "authenticity" have undergone a major shift in recent years, beginning with the Nara Conference and Document in 1994 (http://whc.unesco.org/archive/nara94.htm) and culminating with the adoption of the UNESCO Convention for the Safeguarding of the Intangible Cultural Heritage in 2003 (http://www.unesco.org/culture/ich/) the movement has been from the primary significance of 'documented original material and/or fabric,' which was so central to the Venice Charter and other 20th-century heritage conventions and legislation, to ‘contemporary significance.’ Moreover, that significance is now increasingly acknowledged to be dynamic and ever evolving—posing a direct and practical challenge to the traditional ethos and methodologies of documentation, conservation, and preservation of essentialized heritage forms. No less significant is the growing emphasis on values-based planning and the rights and responsibilities of all stakeholders, as embodied in the 1999 Burra Charter (http://www.icomos.org/australia/burra.html) and the 2005 Council of Europe Framework Convention on the Value of Cultural Heritage for Society (http://www.coe.int/t/dg4/cultureheritage/heritage/Identities/default_en.asp), and for the planning of heritage interpretation, the 2008 ICOMOS Charter on Interpretation and Presentation of Cultural Heritage Sites (www.enamecharter.org). The concerns expressed in all these heritage policy documents mesh substantially with the general issues of the changing social context for applied anthropology mentioned above, particularly the "shift in working relationships with research subjects to research partners" and the "adoption of new models for social organization," in this case the recognition of new types of "memory communities." •	the race to capture tourists without proper preparation to receive them or the ever-expanding tourism infrastructure that impacts the community and its environment. •	the rights of associated or diasporic communities in heritage stewardship in places where they are not present nor legal citizens. These issues are suggested as central elements for consideration and discussion by each of the participants in the Heritage as Applied Anthropology session. Participants are asked to take the perspective of their particular professional experiences and fields. The goal is to formulate elements of an applied agenda that will address this suite of transformations in heritage practices and needs.